Diesel-focused media outlet The Diesel Driver had the opportunity to drive the all-new 2012 BMW 640d Xdrive Coupe. The powerful, yet efficient diesel coupe made its debut last year and it’s available to European customers only. “The first Autobahn section I entered was the A99 northbound towards interchange 13 near München-Fröttmaning, where the A9 crosses the A99. From that point on,I would continue the next 397 km (246 miles) on the A9. Since there was a speed limit of 120 km/h (80 mph) on the way to Ingolstadt, the first major city past Munich, I was quite comfortable while driving in the Eco Pro mode. At the interchange “Haimersdorfer Forst”, where the A9 crosses the A3, I followed the A9 towards Bayreuth, which I reached about 50 minutes later. 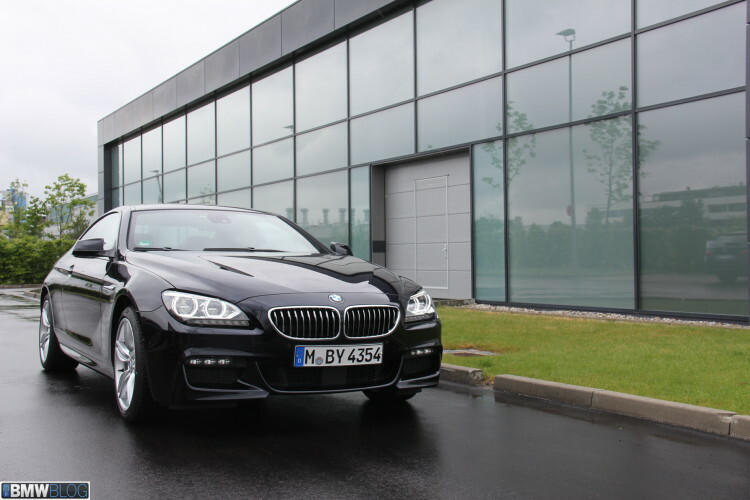 At this time, the fuel economy of the BMW 640d was 6.8 l/100 km (34.6 mpg) with an average speed of 117.8 km/h (73.2 mph). The overall data from the drive with the BMW 640d showed some very interesting figures. I covered a distance of 430 km (297 miles) in 3 hours and 13 minutes. The board computer calculated that, based on remaining fuel, my range was also exactly 430 km (297 miles) so I could easily drive from Munich to Leipzig and back on one tank of fuel. My average speed was 113.5 km/h (70.5 mph) with an overall fuel economy of 6.7 l/100 km (35.1 mpg), a most impressive figure for a car with 313 hp (230 kW), all-wheel drive and a total weight of 1,870 kg (4,122 lbs). This was close to the EU cycle (calculated at much slower speeds) of 5.8 l/100 km (40 mpg).